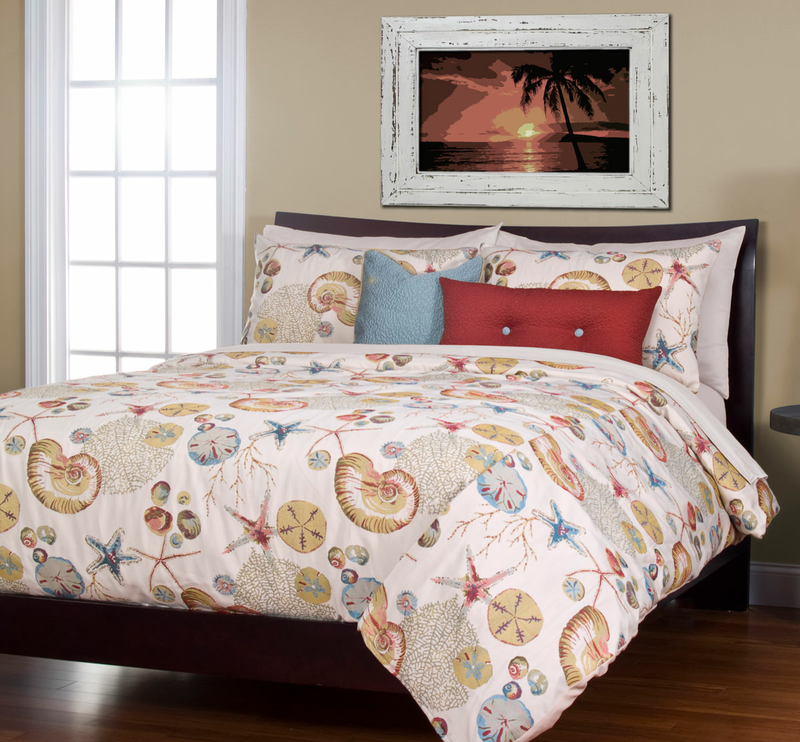 Create a coastal atmosphere in your bedroom with the Cote D'Azur Coral Cal King Duvet Set. These coastal bedding sets feature shells, starfish and coral in an inviting color palette for defining style. Ships from the manufacturer. Allow 1 week. Cannot express ship. For many more items, we encourage you to take the time to browse our full variety of coastal bed sets at Bella Coastal Decor today.